You don't try to relax. You just sit comfortably in a chair with eyes closed, practising a simple mental technique, allowing a deep relaxation to take hold of body and mind. Relaxation comes naturally. Knots and ties unravel, stress and worries gradually give way to a calmer frame of mind. Afterwards you feel refreshed, energised and often more creative. In the long run, the inner freedom of Acem Meditation may initiate fascinating processes of self-understanding and personal growth. The primary goal of Acem activities is not intellectual comprehension but rather the embodiment of an understanding reflected in the ways people relate and act in private and work-related life. 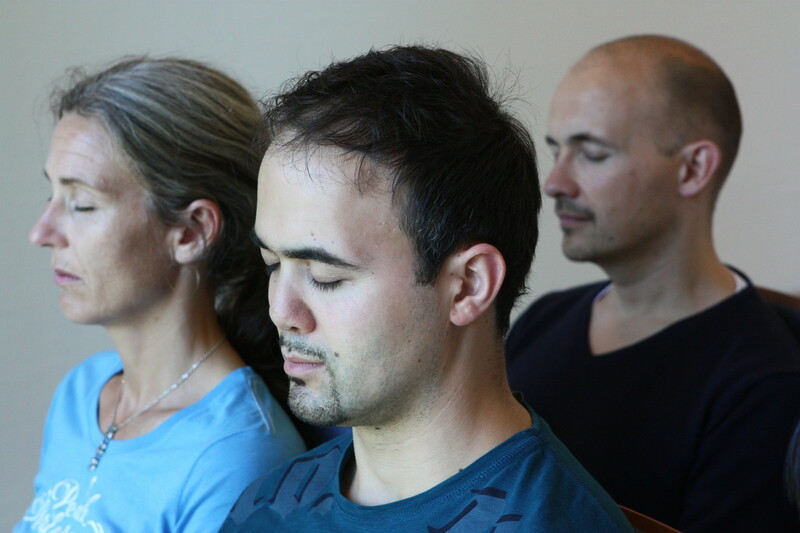 To learn Acem Meditation, you must enrol in a beginner's course. If you are already an adept practitioner of a type of meditation that uses a sound or a mantra, you will probably find the transition to Acem Meditation easy. Experienced meditators of all kinds who have turned to Acem Meditation have found that it enhances the long-term effects of meditating regularly. Acem offers stress management courses in English, Norwegian, Swedish, Danish, German, Spanish and Chinese. Limitations may apply, due to instructor availability. For more information contact Acem.